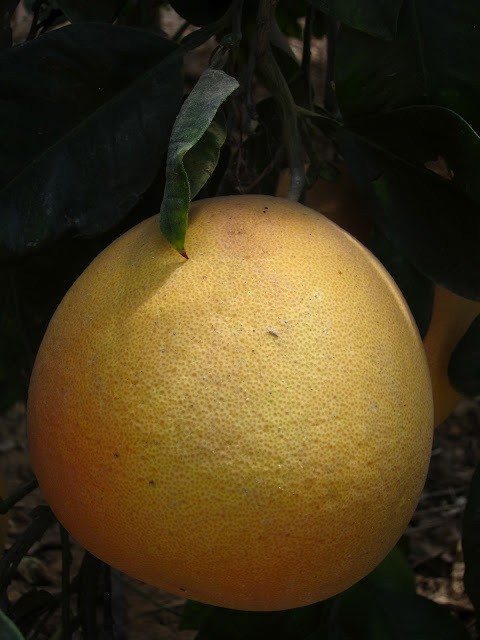 Something about living in the middle of a citrus orchard inspires me to get into the kitchen more often. 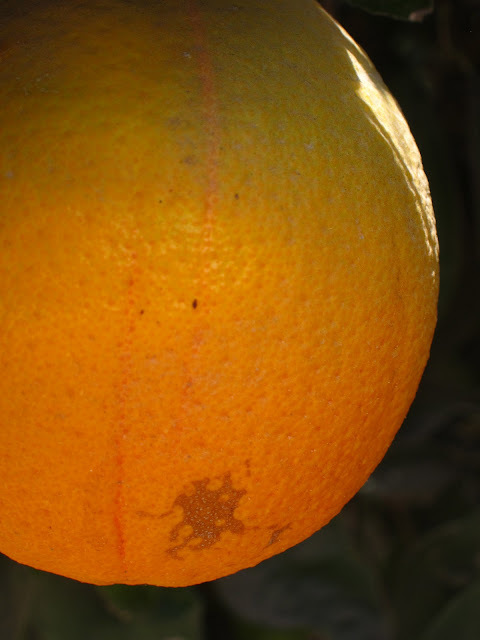 The navels weigh heavy on the trees, round, scarred, and warmed from the sun. The wind is lemon-scented, if you can catch it through the dust. Whether I gather my fruit from the ground or the tree, it feels so good to know where my food comes from, to know that my hands were the hands that picked it. Looking out this morning, at all those fallen lemons, at our pomelo tree weighted with round blushing fruit, I was inspired to make marmalade. 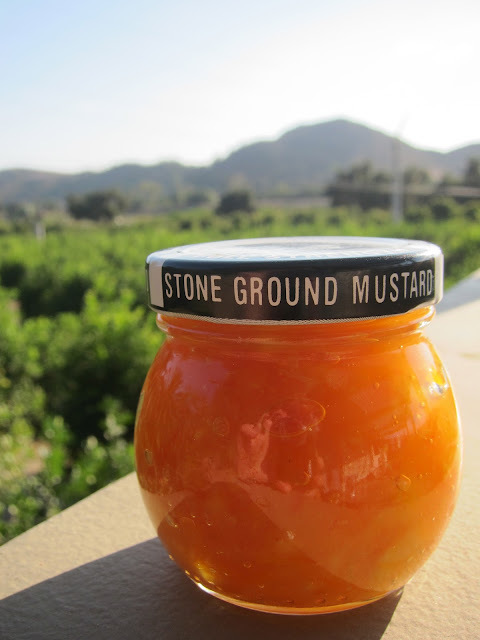 I've never made marmalade, but I grew up around my mom making jams, and we made jam this summer at the farm in Italy. My first thought was to make a pomelo marmalade. It's a little late for pomelo, but jam is forgiving. I remembered that Marica from Wasabi Honey Bee posted a recipe for Grapefruit Marmalade and Pomelo is in the grapefruit family, after all. But here's the thing. I love to cook and bake, but I don't really follow recipes. This is why this entry does not include a recipe. I used Marica's recipe and photos as well as a recipe for Ginger Apple Marmalade from Sunset as my inspiration, but the rest was that magical blend of intuition and experimentation. Gravenstein apples sat in the fruit bowl, and as far as the citrus? Steps away in the orchards outside the house. So out I went, searching for fallen fruit. 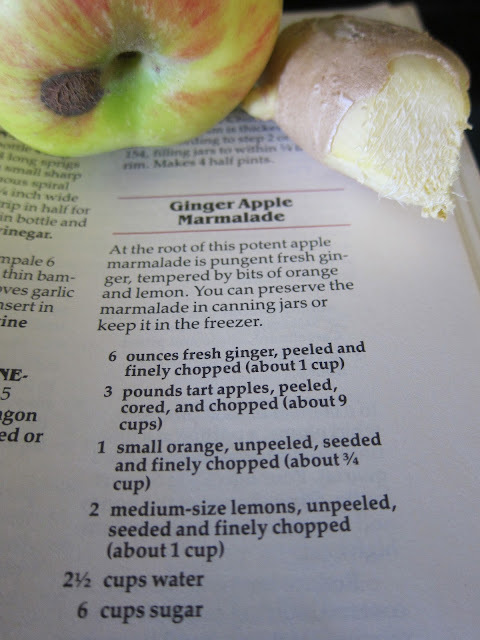 Using apples meant that I didn't need to include pectin, as apples contain it naturally. I added freshly grated ginger and a couple of cloves, but mostly I let the flavors of this fresh fruit sing. After peeling, chopping, grating, simmering, and stirring . . . Behold! Marmalade! It set up on this cold plate with a perfect jammy consistency. Now I've heard a few things about how you know jam is "set" -- run a spatula through it and if the line stays for a moment, it's done; if the jam is smooth on the back of the spoon, it's done; when it stops bubbling, it's done. I didn't try any of these things; I just knew. Of all the ingredients in the kitchen, this one is perhaps the most important: trust. So there you have it, or there I have it. 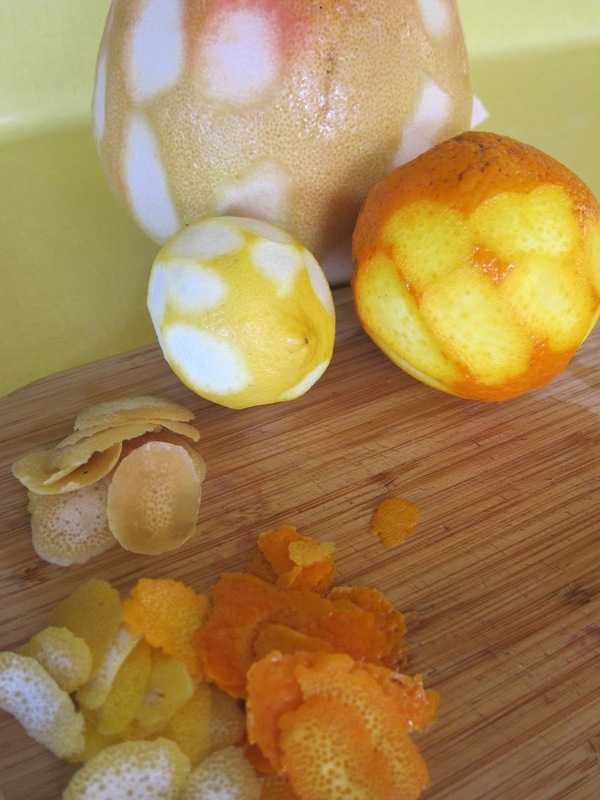 Triple Citrus & Ginger Marmalade. Tart, sweet, slightly bitter and with the spicy warmth of ginger. I will be making marmalade again soon. oh my gosh please send some to Pipe street!!! Only if you promise to put it in palacsinta and take pictures! I need to make another batch and preserve it first. <3!